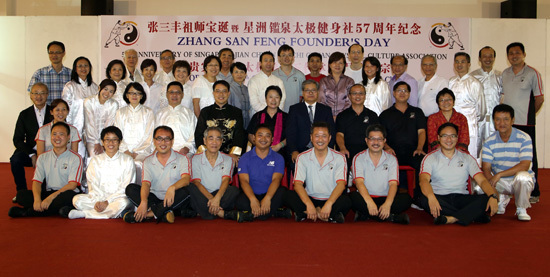 On 3rd May 2014 the Singapore Jian Chuan Tai Chi Chuan Physical Culture Association celebrated its 57th anniversary of its founding by Grandmaster Wu Kung Yi as well as the annual Zhang San Feng Day celebration. 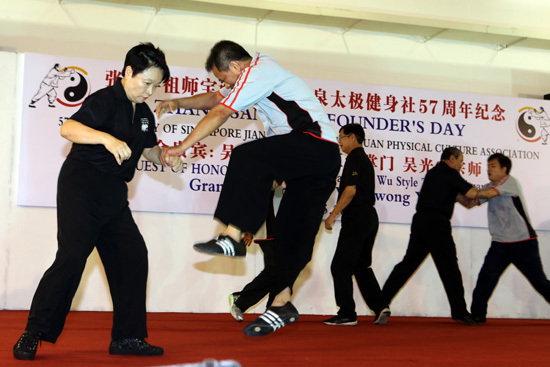 The occasion was attended by around 230 guests and was graced by Grandmaster Eddie Wu as the Guest-of-Honour. The occasion was also graced by the Chairman as well as the President of Singapore Wushu Dragon & Lion Dance Federation, the national body for Wushu (martial arts), Dragon Dance and Lion Dance in Singapore. There were performances of Forms, weapons, martial applications, power generation (fajing) and push hands. 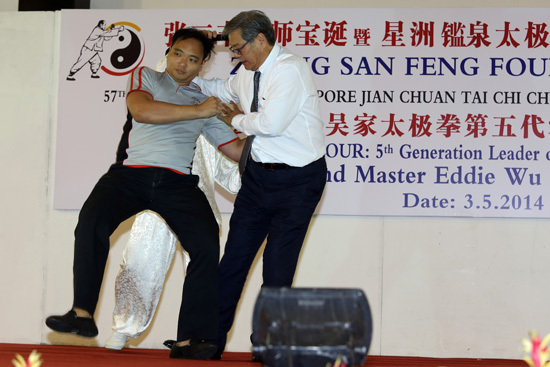 This was topped off by a performance of applications by Grandmaster Eddie Wu Kwong Yu.